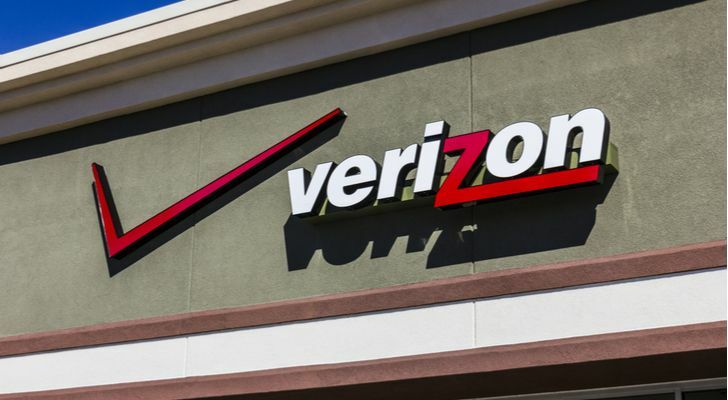 Verizon (NYSE:VZ) stock has enjoyed its best performance of this century. As the first-mover in 5G wireless technology, Verizon stock rose during the recent stock correction as its peers saw their equities plummet. Such a move will leave many prospective buyers wondering whether to get into VZ stock. However, stocks that establish new highs tend to keep moving higher. Moreover, with its single-minded commitment to 5G and the promise that technology offers, Verizon stock could become the equity of choice for 5G investors. Admittedly, Verizon stock has delivered a mediocre performance for years. Price competition from T-Mobile (NASDAQ:TMUS) destroyed the potential to derive huge profits from wireless. Furthermore, the need to adopt 5G forced Verizon and its principal peers to spend billions of dollars building nationwide 5G networks. Still, assuming T-Mobile’s merger with Sprint (NYSE:S) finally occurs, only Verizon, T-Mobile, and AT&T (NYSE:T) will own a 5G network. Verizon will help drive the future of 5G, but what that future looks like remains unknown. We do know speeds will rise by at least tenfold. This will unleash a wave of new technologies still unknown to the public. Nokia (NYSE:NOK) did not see the smartphone coming when it led the cellular phone market in the mid-2000s. Likewise, only time will tell what new applications emerge from 5G. However, such advances only become possible with the 5G service made possible by Verizon and its peers. For this reason, I have no objections with investors who want to bet on the unknown here. Still, investors should think of Verizon stock as mostly a 5G play. This separates Verizon from AT&T, which has bet heavily on content. Verizon’s foray into content has consisted of purchasing AOL and Yahoo and creating a division called Oath. Unfortunately for VZ, competing on content with AOL and Yahoo is like Ford (NYSE:F) trying to excite car buyers by introducing a station wagon. As Will Ashworth and some of my other colleagues have stated, Oath will probably not become a significant part of VZ’s business. Thus, Verizon should — and probably will — spin off Oath. Rather than existing as the family Truckster of content companies, the future of VZ stock more than likely lies in becoming the gold standard of 5G. Verizon took a huge step toward becoming that gold standard by bringing in-home 5G to the market faster than its peers. This first strike has probably helped Verizon stock to rise this fall. This has occurred even as the stocks of its peers and most other tech stocks have fallen. Now, VZ stock has come close to the highs it last saw at the height of the dot-com bubble in 1999. I see this as a bullish sign. Even if the stock price increases take longer than expected, investors will collect a substantial dividend while they wait. Verizon stock pays an annual dividend of $2.41 per share, a yield of just over 4%. Since the dividend has increased every year since 2007, it likely will rise again in 2019 — and for many years to come. Admittedly, this falls short of AT&T’s 6.4% dividend yield. However, T stock has declined in recent weeks. Also, Verizon has not taken on large amounts of debt like AT&T has in the quest for more content. This makes Verizon’s payout a safer bet. For investors who want both a dividend and something close to a pure-play on 5G, Verizon stock remains the equity of choice. After years of struggling with wireless, 5G appears poised to deliver higher profits in this segment. Moreover, with the potential for new applications that 5G will make possible, profits can come from sources not yet imagined. Furthermore, a 4% dividend set for annual increases will reward investors even if Verizon stock increases more slowly than expected. Purchasing VZ stock at this point may constitute a bet on the unknown. However, investors can take comfort in the fact that Verizon will help make this unknown possible. Article printed from InvestorPlace Media, https://investorplace.com/2018/12/5g-wireless-technology-continue-drive-verizon-stock/.